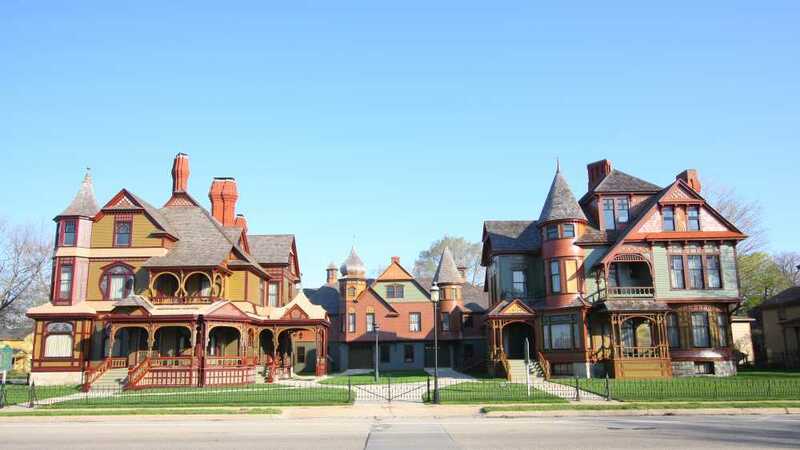 Built in the late 1880's, these restored Queen Anne homes were once the home to two of Muskegon's most prominent lumber barons. Featuring intricate wood carvings, stained glass, stenciled walls and ceilings, some original furniture and family possessions. Guided tours of the two homes last approximately an hour and 15 minutes. This site is featured on the National Register and is operated by the Lakeshore Museum Center. Guided tours are available May through October. Weather permitting, historic games are often being played on the lawn between the two homes. Special holiday tours are scheduled at Thanksgiving and Christmas. Admission is charged.